As a hunter who has been in the deer hunting business for a long time, I can understand how expensive deer ﻿﻿lure can be. 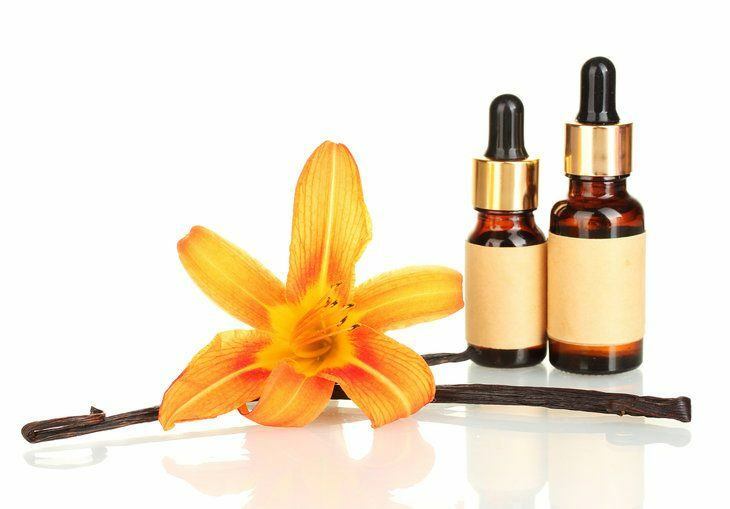 One small bottle can set you back quite a bit of money and can cost you a fortune to ship to your door. Which got me thinking, why would you bother buying deer lure when you can make your own at home. 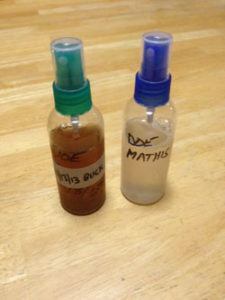 You can make a whole batch of your favorite deer lure and then use it as you need it. One of the factors that attract deer﻿’﻿﻿﻿s towards areas the most is another deer’s in the area. They know that if there are other deer in the area, then that means that area is a safe place to be. You can take advantage of this gland through making a lure using the tarsal gland. Although this requires you to cut out the tarsal from a previous deer that you have killed, you can use it to make your lure. Be warned: you have to wear gloves because these glands have bacteria on them which can harm you. Step 1: You have to get a tarsal gland. You can do this through finding a deer with a tarsal gland intact. Step 2: Keep them locked in a bag. 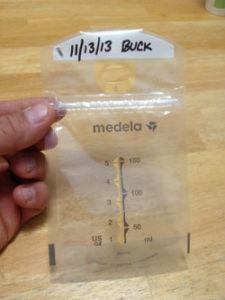 Label the bag by the gender of the deer that you caught. Keep in a freezer until ready to use. 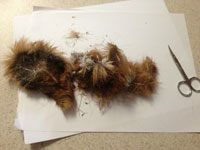 Step 3: When needed, take the tarsal out and cut the hairs of the tarsals. Place them in a bowl of water and stir. Step 4: Put the tarsal-flavored water into a spray container, and then you should be ready to use the tarsal spray. 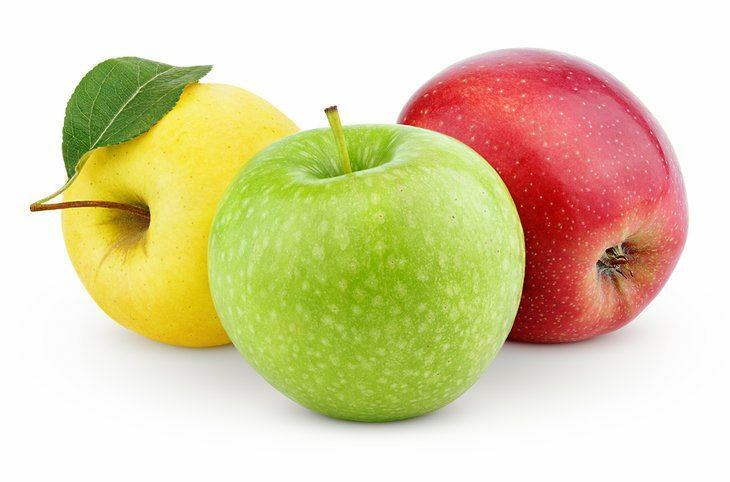 We won’t go into too many apple recipes because there are a lot of apple deer lures out there on the market, but here is one recipe that you can try making at home (from TechWalla). Step 1: you have to gather up some water. Preferably, you should get this from a river, mud puddle or a pond. These are natural sources of water which deer will be familiar with. 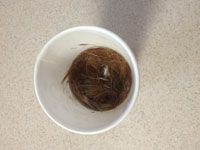 Step 2: In a plastic tub, you should cover the bottom of the tub with pine needles and dead leaves. Step 3: Place your pitcher from your blender, your apples, your zip lock plastic bag, clothespin and work gloves into the tub. Step 4: Seal the tub overnight in a refrigerator. Step 4: Take the items out of the tub and then cover your workspace with the dead leaves and pine needles. Step 5: After cutting your apples, place them into the pitcher and start blending them. Step 6: Putting the water that you collected into the blender until the apples have been pureed. Step 7: Put a cloth inside the blender pitcher and then let it soak for a few minutes. Step 8: Put the cloth in the plastic zip lock bag and put the clothespin on the zip lock bag. That is now your homemade deer lure that you can use for your d﻿﻿﻿eer h﻿﻿u﻿﻿nt. You can store the apple puree inside the refrigerator the next time you want to replenish your cloth with the puree. The zip lock deer lure will be hanged from a certain spot where the deer can be attracted to the lure. What you'll need (from Instructables). Two cups of vodka, or any scentless alcohol that you have. Step 1: Combine all of these ingredients in an air-tight container and store them in a dark place for about two months or more. 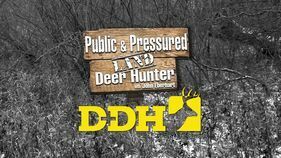 The longer you store the deer spray liquid, the stronger the smell will be. Step 2: For the best results from the deer spray liquid, then you must make sure to shake the container for at least a minute for the best possible results. 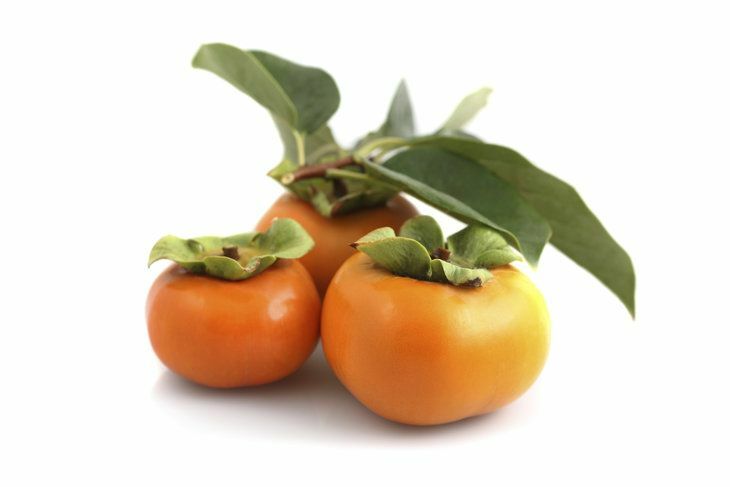 That way, you extract the maximum amount of persimmon from the slices. Step 3: you can store the liquid in sprays or just leave the liquid in the container until you need to use it for your next deer hunt. We now move onto plant scented deer lure, and we have a good selection of deer lures to choose from. One of the characteristics about vanilla that I like is that it is very sweet. That’s why I think putting vanilla as a deer lure is great, because it can be smelled for long distances by deer that are very far away from the area that you want to target. Step 1: Put vanilla pods into a container and pour syrup over the pods. Step 2: Dilute with water. Step 3: Pour into your spray containers to use. This is such a simple recipe that you can do without having to boil anything. This is quite similar to vanilla and persimmon deer lure, but there is a subtle difference in these recipes. 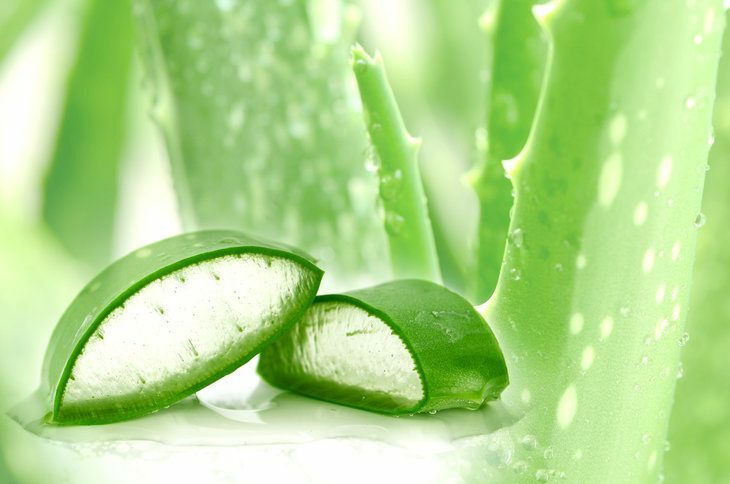 For starters, you are using the most aromatic plants from your backyard (e.g.,. Pine needles, Aloe Vera) to create your deer spray. Here’s how you make this kind of deer lure (from O﻿﻿﻿﻿utdoor lif﻿﻿﻿﻿e). Step 1: Grab as many plants leave as possible. Always go for the ones that are aromatic. The nicer the smell, the more likely that a deer will be attracted to this. Materials that you can find are spruce, pine, nettle, etc. Step 2: Boil water and then put all your ingredients into boil for at least 20-30 minutes. Do not use too much water, since you don’t want to dilute the mixture. Also, don’t boil for too long because you might get rid of the aromatic smell from the ingredients. Step 3: Rinse the mixture through a cheesecloth or any cloth that is capable of getting rid of any particles that can block your spray applicator. After all that has been done, you can use the spray as you wish. The one interesting fact about deer that amazes me is that early in the deer hunting seaso﻿n, they tend to like eating acorns. They like the aroma, and the taste of this little ball sized seeds. 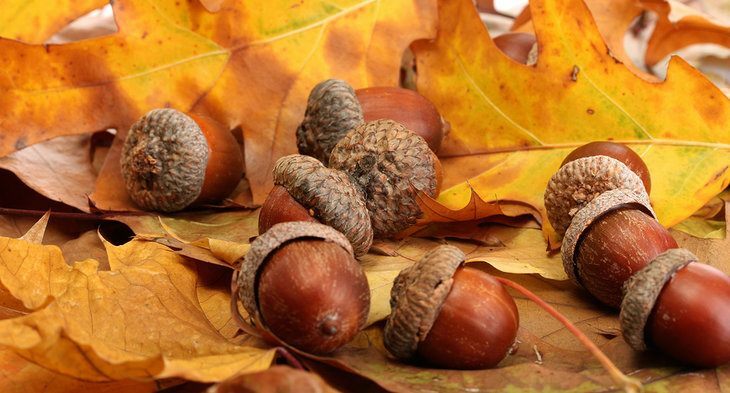 In fact, I like to crush some acorns with my foot and litter them along a path when on hunting trip. So that the deer’s in the area can find the acorns and follow it to the area that I want them to go towards. That being said, there is a recipe for making an acorn-flavoured deer lure that is very effective at luring deer. Here is the recipe from Trek Warrior. Step 1: Crush a cup of acorns into a pulp. Add this to a liter of water. Step 2: Bring down the temperature of the pot to a low boil and let the acorn mixture simmer for at least five hours. By doing that you bring out the juices out of the acorns. Step 3: After about four hours, add one or more cups of apple cider to the mixture. This will help with the smell of the deer spray. Step 4: The next morning, you should drain the mixture to get rid of all of the physical particles. Once that is done, you should have your very own acorn deer lure to use. Thank you for reading this article. 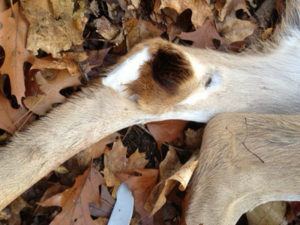 I hope that you have enjoyed reading an informative article about the various deer lure sprays that you can make at home. 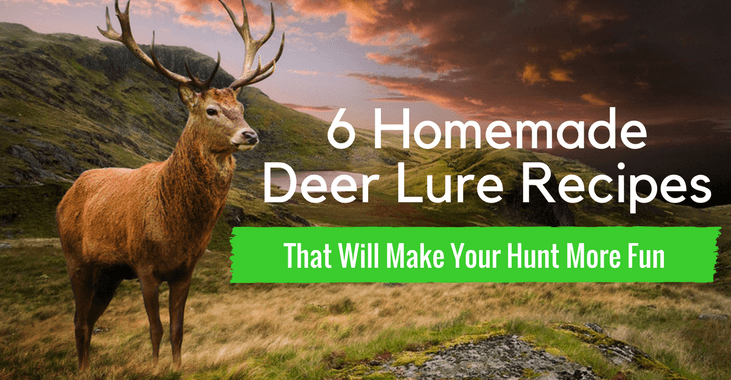 As I previously said, I think that it is better to make your very own homemade deer lure rather than buy small, expensive bottles of deer lure. That’s why I have come up with this list so that you don’t have to spend your money on this kind of stuff. If you have any more questions, feel free to leave questions at the bottom of this article, and we will get back to you.